Due to a planned electrical outage in the Library some Library services will be unavailable for approximately 1 hour from 6-7 am on Friday, Jan. 25th. Although you will not be able to access the Library website, SCHOLAR will still be available for your use. Permanent link to this topic. Posted 2008-01-24 10:00:12. Reply to Lauren_Felder. Categories: Library News. Permanent link to this topic. Posted 2007-03-29 09:52:04. Reply to Tracy_Kemp. Categories: Library News. Permanent link to this topic. Posted 2007-02-28 13:26:46. Reply to Tracy_Kemp. Categories: Library News. As more and more people start using their iPhones, BlackBerrys and other mobile devices to search the Internet, many Web services are customizing their interfaces to accommodate them. EBSCOhost and RefWorks are no exception. Similarly, RefMobile allows you access to your RefWorks account. When logging in to RefMobile, you will need to use the subscriber code that was supplied to you via email after you registered for your individual account. If you no longer have that code, please call Reference Services at (216) 687-5300.Go to Working with RefMobile for more details. The Michael Schwartz Library is happy to provide these new services for mobile devices, and, for your convenience, have created one place where you can link to them and other such services as they become available. We have expanded our "Off-Campus Access" page to "Off-Campus Access & Mobile Devices." A link to this page appears in the green navigation bar at the right of all Michael Schwartz Library Web pages. Permanent link to this topic. Posted 2009-11-19 14:25:55. Reply to Lauren_Felder. Categories: Library News. EBSCO will be performing scheduled maintenance from Friday, 22 February at 11:00 PM to Saturday, 23 February at 3:00 AM Eastern Time on their e-journal full-text access servers. Only articles from these eight publishers (which accounts for a very small percentage of actual journal titles) accessed via A-to-Z TOC Browse, EJS, or SmartLinks+ will be affected. Permanent link to this topic. Posted 2013-02-21 07:13:55. Reply to Lauren_Felder. Categories: Library News. 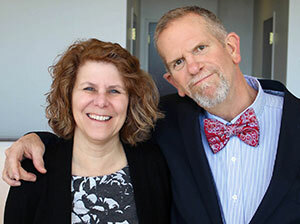 The eight millionth scholarly research article was recently added to OhioLINK's award-winning Electronic Journal Center. The EJC provides students, faculty and staff at participating OhioLINK institutions with instantaneous online access to more than 7,100 journals from 101 publishers. 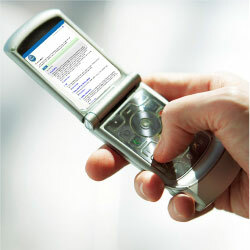 OhioLINK users downloaded 4.9 million articles from the EJC in 2006. A total of 25 million articles have been downloaded from the EJC since its inception in April 1998. New journal issues are added to the EJC daily. To stay current, OhioLINK users have the option of receiving updates of new issues via e-mail alerts or RSS feeds. You can also save searches and have the results sent to you. Find instructions for these features here. Want to find out if OhioLINK has a particular journal? Try the E-Journal Finder. The E-Journal Finder searches the EJC and several other databases to help find desired journals. If you don't find the journal in question using the E-Journal Finder, check with your librarian as your library may provide other means of accessing the journal online. Permanent link to this topic. Posted 2007-03-15 15:12:53. Reply to Tracy_Kemp. Categories: Library News. Which OhioLINK resource can instantly connect you with quick fact or subject overview, a poem, a piece of classic literature, a Bible passage, a scholarly text, tech tips and more? If you said the OhioLINK Electronic Book Center you get a gold star. Now the Electronic Book Center has been improved to help you find the information you need more quickly and easily. Permanent link to this topic. Posted 2009-01-08 09:14:51. Reply to Tracy_Kemp. Categories: Library News. CSU Faculty--It is time once again to submit materials to be placed on the Library�s Electronic Course Reserve System (ECR) for the upcoming semester. To ensure that your course materials will be available to students by August 25th it is important to submit items as soon as possible. Now is not too soon! If items are submitted late, we cannot guarantee that they will be ready at the beginning of the semester. If you would like any materials previously on Electronic Reserve to be reactivated for this Fall, please tell us now. Otherwise, all course materials from the previous semester, including books, must be removed from reserve in order to comply with Copyright Law. Any personal copies on reserve will be returned to you. Because materials put up on ECR must meet federal guidelines for accessibility, it is important for you to provide good quality originals so that they can be scanned effectively. Please refer to the Library�s ECR Faculty Help Guide for further information. Permanent link to this topic. Posted 2007-08-02 14:45:27. Reply to Barbara_Loomis. Categories: Library News. The OhioLINK EJC has been unavailable since about 9:30 this morning (Feb. 20, 2009). OhioLINK is aware of the problem and has systems engineers working on it. They apologize for the inconvenience. Edited to Add: The temporary access page is back online as of 11:37 am. Permanent link to this topic. Posted 2009-02-20 11:02:55. Reply to Lauren_Felder. Categories: Library News. The Michael Schwartz Library is currently searching for a Systems and Emerging Technologies Specialist. Summary: Provides software, hardware, network and other technical support and training for the Michael Schwartz Library, electronic classroom technology and computer labs. Installs, configures, upgrades, and maintains computer systems in the Library. Researches, evaluates, and implements emerging technologies to expand and improve services. Provides programming support for library web pages. Generates statistical reports for Library management. Interacts professionally with all internal and external customers using strong interpersonal skills. To apply, or for more information about the posting, visit the University's Employment Opportunity Site. The posting closes on February 17, 2019 . If you have questions, please contact Human Resources at (216) 687-3636, or email hrjobs@csuohio.edu. Permanent link to this topic. Posted 2019-02-01 17:05:12. Reply to Barbara_Loomis. Categories: Library News. The Michael Schwartz Library is currently searching for a Systems & Knowledge-bases Librarian. Summary: Responsible for the management of the library’s integrated library system (ILS) and electronic resource configuration. Administers the Library’s integrated library system (ILS), currently Innovative Interfaces Sierra; works with cataloging librarian in managing administrative modules (e.g., EBSCO) and associated knowledge bases; resolves access problems as they arise; contributes to library decision making and serves on teams to carry out library goals as specified in team assignments; keeps up-to-date in librarianship and information technology; engages in scholarly, professional and service activities; interacts professionally with all internal and external customers using strong interpersonal skills. To apply, or for more information about the posting, visit the University's Employment Opportunity Site. The posting closes on December 10, 2018 (posting deadline has been extended). Permanent link to this topic. Posted 2018-11-19 12:10:37. Reply to Barbara_Loomis. Categories: Library News. Starting Monday, September 25, 2006 the EPIC/PEP program will be in the Library in RT 402. This program provides enhancement activities and tutoring for students needing help with their math courses. Assistance will be available Mondays, Wednesdays, and Fridays from 12:30-5:00 p.m., Tuesdays from 3:00-8:00 p.m., and Thursdays from 1:00-6:00 p.m.
For more information, contact Carol Phillips-Bey, Assistant Professor, Mathematics and Manager, EPIC/PEP program at carolphillipsbey@yahoo.com or (216)523-7151. Permanent link to this topic. Posted 2006-09-21 15:03:00. Reply to Tracy_Kemp. Categories: Library News. Starting Monday, October 22, 2007 the EPIC/PEP program will be in the Library, RT 402, offering a "tutoring/study group/homework help EPICenter" for students enrolled in MTH 167, MTH 168, MTH 181, and MTH 182. Assistance will be available on Mondays from 1:30 p.m. - 5:00 p.m., Tuesdays from 9:00 a.m. - 12:30 p.m. and 1:00 p.m. - 3:00 p.m., Wednesdays from 3:00 p.m. to 5:00 p.m., Thursdays from 10:00 p.m. - noon and 12:30 p.m. - 2:30 p.m., and Fridays from 1:30 p.m. - 3:00 p.m.
EPIC/PEP is a program funded by the Ohio Science and Engineering Alliance out of the Ohio State University whose purpose is to increase the number of under-represented minorities (African-American, Hispanic-American, Native American) in careers in science, technology, engineering, and mathematics. For more information, contact Carol Phillips-Bey, Associate Professor, Mathematics and Manager, EPIC/PEP program at c.phillips-bey@csuohio.edu or (216)523-7151. Or visit the EPIC/PEP website at http://www.csuohio.edu/epic_pep/index.htm. Permanent link to this topic. Posted 2007-10-19 11:45:59. Reply to Barbara_Loomis. Categories: Library News. Students are increasingly incorporating digital images, video, and audio into assignments and presentation material, but production equipment has not been widely available to them on campus. Beginning this Fall, students may borrow Canon video and still cameras, and Sony audio recorders from Library Multimedia Services (MMS) in RT 301. Students can check out these items from the Library just as they would a book — there is a 1-day loan period on this equipment. Students supply their own DV tapes and flash media storage cards, but both tapes and flash media storage cards are available for purchase in the Library vending machine if students don't have their own. After using the new cameras and recorders to capture the information they need, students can work on their digital files at home or use the professional video, audio and image editing equipment and software in Multimedia Services to create polished materials for presentations and other assignments. 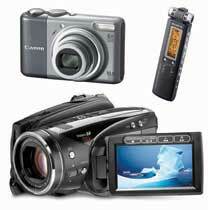 Help with equipment and software is available in Multimedia Services as well. Students may contact MMS for more information at (216) 687-9337. Faculty wishing to borrow similar equipment should contact IMSS Equipment Circulation at (216) 687-3846. Permanent link to this topic. Posted 2009-09-01 14:32:37. Reply to Lauren_Felder. Categories: Library News. Learn about the geography, cultures and arts of modern Africa through the ESC's Fall 2015 workshops that explore the central, eastern and western geographic regions of sub-Saharan Africa. Enhance your content knowledge about non-Western countries and societies in response to Ohio's learning standards requirements. Pan-African scholars from Cleveland State and Kent State Universities will lead workshops and share their experiences teaching, living and working on the continent of Africa for the series "Teaching About Africa." This event is a series of dates: September 2, 2015, October 22, 2015, November 13, 2015 and December 2, 2015. Find out more -- Read pamphlet. Permanent link to this topic. Posted 2015-11-06 10:55:19. Reply to Lauren_Felder. Categories: Library News. Permanent link to this topic. Posted 2009-10-28 09:52:52. Reply to Tracy_Kemp. 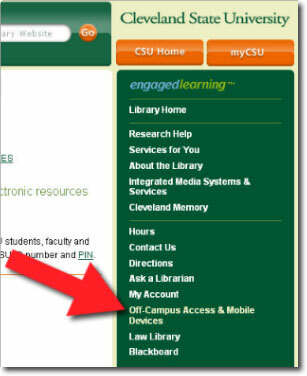 Categories: CPL@CSU, Library News. Ever want to be a writer? Is it true that everyone has a good book in them...just waiting to be written? If you are a writer or know someone who is a writer, you and they won't want to miss Thursday night at the Louis Stokes Wing Auditorium at 6:00 p.m.
You will hear a panel discussion, brought to CPL by Literary Ventures Fund. LVF grants both funds and expertise to support small presses, book by book. You will hear author Stephen Shem, LVF founder and director Jim Bildner, LVF director of publicity Mary Bisbee-Beek, and owner of our local Mack's Backs Bookstore discuss "Could Fitzgerald or Hemingway Get Published Today ?" Permanent link to this topic. Posted 2008-10-20 10:06:19. Reply to Tracy_Kemp. Categories: CPL@CSU. An Exhibit of The Center for Slovenian Studies at Cleveland State University is on display through the end of November at the CSU Library. It includes photos and information about the Slovenian Studies Center/Center za slovenske študije and Slovenian language classes, as well as photographs and memorabilia pertaining to Slovenian culture. The exhibit is located on the first floor of Library which can be accessed from Rhodes Tower and is open during regular Library hours. Community College, Kent State University, and Bowling Green University, has decided to foster the cultural heritage of this important community by establishing the Center for Slovenian Studies at CSU. The Center will be staffed by a full-time Director, who will also be the curator of the Slovenian Museum and Archives at 6415 St. Clair Avenue in Cleveland. The Center will coordinate the teaching of courses in Slovenian language and culture at the three regional universities and Lakeland Community College. Slovenian language courses are taught by Luka Zibelnik, a Visiting Professor from the University of Ljubljana, Slovenia. 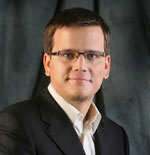 He teaches the Slovenian language to beginner and intermediate skilled individuals at university levels. In addition to teaching Slovene, Professor Zibelnik and future Visiting Professors will provide lectures about the Slovenian culture. To serve non-traditional, working members of the Slovenian American community, as well as traditional students, courses are scheduled in the evenings. Professor Zibelnik studied Sociology of Culture and Slovenian Language at University of Ljubljana, Slovenia. He has taught students of all ages, from primary school, through high school and college. His wide range of experience in teaching the Slovenian language and his first-hand knowledge of Slovenian culture provides his students with the best possible education in Slovene as a second/foreign language. In his own research, Professor Zibelnik has learned that there has been an increasing interest around the world to learn Slovene. He notes that the number of Slovenian lectureships worldwide is currently 53, the number of countries where you can learn Slovene is 28, and the number of universities in the world where you can obtain a degree in Slovene is 21. Permanent link to this topic. Posted 2008-11-10 16:48:09. Reply to Barbara_Loomis. Categories: Library News. The Michael Schwartz Library, in partnership with CSU's College of Liberal Arts and Social Sciences, Art Gallery, and Polish Studies Initiative, presents a historical exhibit, "The Destruction of the Polish Elite: Operation AB - Katyn" which sheds light on crimes perpetrated by the Third Reich and the Soviet Union at the beginning of World War II and poses questions about the scope of mutual cooperation between these regimes. Maria Szonert Binienda, President of the Libra Institute, will hold a discussion on this historical event on Wednesday, November 20, 2013 at 4:00 pm near the exhibit area on the first floor of the Library. 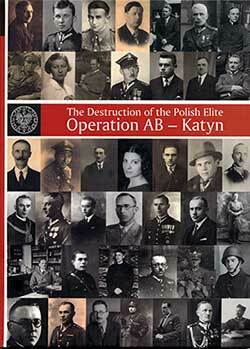 The book, titled The Destruction of the Polish Elite: Operation AB - Katyn will be made available for free to attendees. The exhibit is divided into several thematic blocks. The first depicts the Soviet-German political and military alliance in the years 1939-1941, as well as the joint invasion of Poland, its partition and occupation, during which the cooperative powers introduced their destructive policy towards the citizens of the conquered country. The next sections present the two notorious criminal operations of 1940, first the Massacre in the Katyn Forests, and then the AB Operation*. Exhibit panels reconstruct preparations for the crimes, their course and the major culprits. The exhibit also presents profiles of several victims, including families that fell victim to both aggressors. Finally, the exhibit looks at the big picture of these operations, depicting their geographical range and documenting the lack of punishment for the vast majority of the Third Reich and the USSR officers responsible for these crimes. This traveling exhibit was prepared by the Public Education Office of the Institute of National Remembrance, Poland and was made available to Cleveland State University by the Consulate General of the Republic of Poland in Chicago. It is located in the Michael Schwartz Library, first floor east, and is open during regular library hours. It will be displayed through November 21, 2013. *At the beginning of 1940 Germany began preparing the Ausserordentliche Befriedungsaktion--Special Pacification Operation; Operation AB. In connection with the planned activities in the west of Europe, a decision was made to arrest and murder all those suspected of any links to Polish conspiracy. The extermination action was at its highest intensity from May to July 1940. 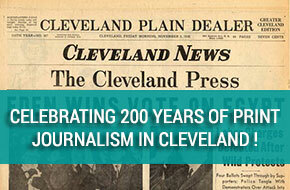 For more information about the exhibit or lecture, please call 216-875-9734. Permanent link to this topic. Posted 2013-11-13 11:26:18. Reply to Barbara_Loomis. Categories: Library News. Generations of Clevelanders have looked to the spire of the Terminal Tower as a point of reference and as a beloved Cleveland icon. Friday, March 9th marks the opening of a new exhibition devoted to this landmark, titled "Cleveland's Endearing Symbol: 52 Stories of the Terminal Tower". Curated and designed by long-time Library staffers and originators of our Cleveland Memory Project Bill Barrow and Donna Stewart, the exhibit draws heavily on the collections at the Michael Schwartz Library and also includes material from many generous community partners. The exhibition is an affectionate and informative look at the role of the tower in the life of the city and includes hundreds of items: historical photos, artworks, film, media, ephemera, and kitsch. And a falcon, of course! Join us for the opening reception and gallery conversation on Friday, March 9 at 4 pm, when Bill Barrow and Donna Stewart will highlight a few of the Tower's "52 stories". Running from March 9th through April 21st at The Galleries at CSU at East 13th and Euclid Avenue, next to IdeaStream. Read Steven Litt's review of the exhibition that appeared in the March 18th issue of the Plain Dealer . Permanent link to this topic. Posted 2018-03-07 16:10:20. Reply to Barbara_Loomis. Categories: Cleveland Memory, Library News. It began as an assignment to introduce dramaturgical research to students in ENG 347/547: African American Women Playwrights. The play to be researched was I Gotta Home, by Shirley Graham (DuBois), performed in Cleveland by the Charles Gilpin Players at Eldred Hall in 1939. Work in our Special Collections led one student to Tom-Tom, an opera written by Graham in 1932 when she was a student at Oberlin College. Further research revealed that Tom-Tom was performed at Cleveland Stadium, with an audience of 20,000. 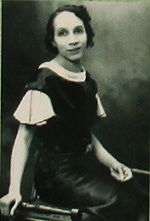 Tom-Tom was the first opera written by an African American female and earned Graham critical acclaim, yet it was never performed again. Not surprisingly, "Whatever happened to Tom-Tom?" became a research question with broad implications. This project has presented an opportunity for three student scholars to create an exhibit designed to demonstrate the potential of literature in service to broader learning, to impact an audience beyond the classroom. In so doing, their collective research shares Graham's legacy with the university community and educates the Cleveland community of its critical connections to a woman who left footprints around the world. 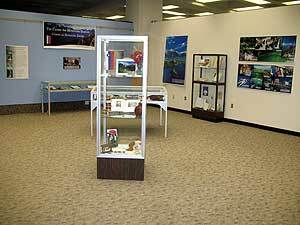 The exhibit, Shirley Graham: Citizen of the World, which includes books, posters, photos and other memorabilia related to Shirley Graham (DuBois), is open during regular Library hours. Permanent link to this topic. Posted 2012-05-02 11:42:34. Reply to Barbara_Loomis. Categories: Library News. As visitors to the Michael Schwartz Library may have noticed lately, construction to expand the Adaptive Technology Lab on the first floor is well underway. Upon completion at the end of the month, the expanded lab will contain a wide variety of new hardware as well as facility improvements that will serve both students with disabilities and classes for demonstrations. The new main lab will have four workstations and be large enough to accommodate Occupational Therapy lab classes. The current lab in RT103 will be repurposed as a quiet study room and dictation area and will house three workstations. The area north of that area will be converted into a room that will store assistive technologies and two Braille embossers. 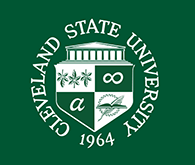 Students needing to use the lab and the equipment during the construction should contact Jeff Dell, Assistive Technology Specialist, Disability Services at (216) 687-2141. Permanent link to this topic. Posted 2013-01-15 11:34:15. Reply to Lauren_Felder. Categories: Library News. Beginning Sunday, March 24, 2013, the Michael Schwartz Library will have NEW hours. Sunday - 1 p.m. to 9 p.m.
Friday - 7:30 a.m. to 6 p.m.
Saturday - 8 a.m. to 5 p.m.
Late Night Study will be available until 3 a.m. starting the week of May 5, 2013. Permanent link to this topic. Posted 2013-03-01 16:04:28. Reply to Lauren_Felder. Permanent link to this topic. Posted 2009-05-01 11:37:47. Reply to Tracy_Kemp. Categories: Library News. Permanent link to this topic. Posted 2008-04-28 15:27:14. Reply to Tracy_Kemp. Categories: Library News. The University Library located in Rhodes Tower, will have extended hours before finals week. The Library will be open until 8 p.m. on Friday, December 7th and Sunday, December 9th. For more information, call (216) 687-5300 or visit us online at www.ulib.csuohio.edu. Permanent link to this topic. Posted 2007-12-03 16:23:02. Reply to Tracy_Kemp. Categories: Library News. The Library will be open until 8 p.m. on Friday, May 4th and Sunday, May 6th. 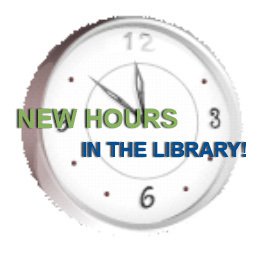 See our Library Hours page for more information. Permanent link to this topic. Posted 2007-04-30 10:38:25. Reply to Lauren_Felder. Categories: Library News. The University Library located in Rhodes Tower, will have extended hours before finals week. The Library will be open until 8 p.m. on Friday, December 8th and Sunday, December 10th. Starting at 5 p.m. there will be free coffee while supplies last. For more information, call (216) 687-5300 or visit us online at www.ulib.csuohio.edu. Permanent link to this topic. Posted 2006-11-29 08:24:11. Reply to Tracy_Kemp. Categories: Library News. The University Library located in Rhodes Tower, will have extended hours before finals week. The Library will be open until 8 p.m. on Friday, May 5th and Sunday, May 7th. Starting at 5 p.m. there will be free coffee while supplies last. For more information, call (216) 687-5300. Permanent link to this topic. Posted 2006-04-27 09:29:42. Reply to Tracy_Kemp. Categories: Library News. The University Library will have extended hours before finals week. The library will be open until 8 p.m. on Friday, December 9th and Sunday, December 11th. Starting at 5 p.m. there will be free coffee while supplies last. Permanent link to this topic. Posted 2005-12-01 12:06:18. Reply to Lauren_Felder. Categories: Library News. Showing posts beginning with E only. See display options.